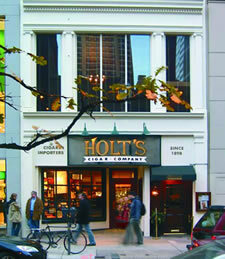 When you are in Philly and you want a Cigar there is only ONE name – Holt’s Cigar Company in Center City. Founded in 1898, Holt’s has been synonymous with the region’s finest imported premium handmade cigars. Nothing defines Holt’s Cigar Company more clearly than its Center City Philadelphia flagship retail location where for a hundred years, cigar lovers have flocked to the friendly confines and relaxing atmosphere of the company’s quality cigar shop. The ambiance and aromas, as well as one of the nation’s largest walk-in humidors and luxurious smoking lounge attracts thousands of cigar aficionados and novices alike to Holt’s Cigar Company. Because of high demand they are expanding again. 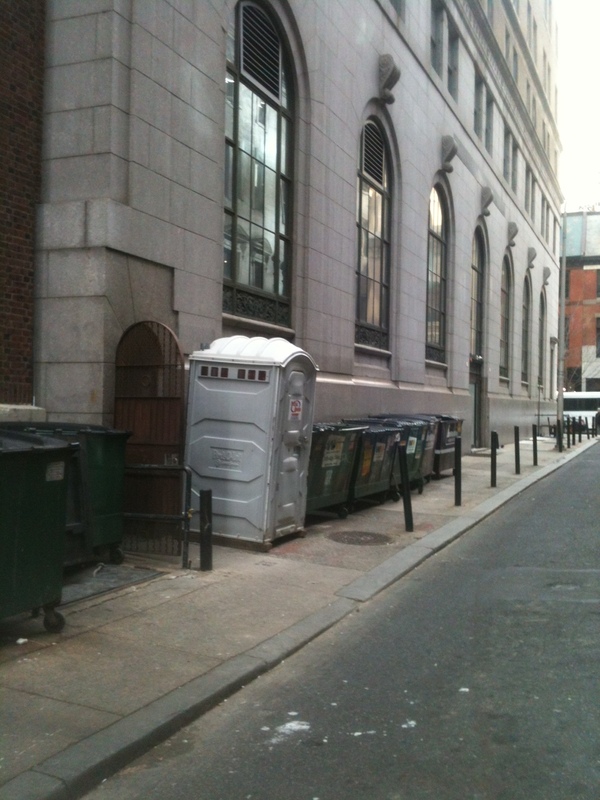 And with space being limited at their Center City location (1522 Walnut Street, Philadelphia, Pa 19102) they decided to extend out into the back alley. 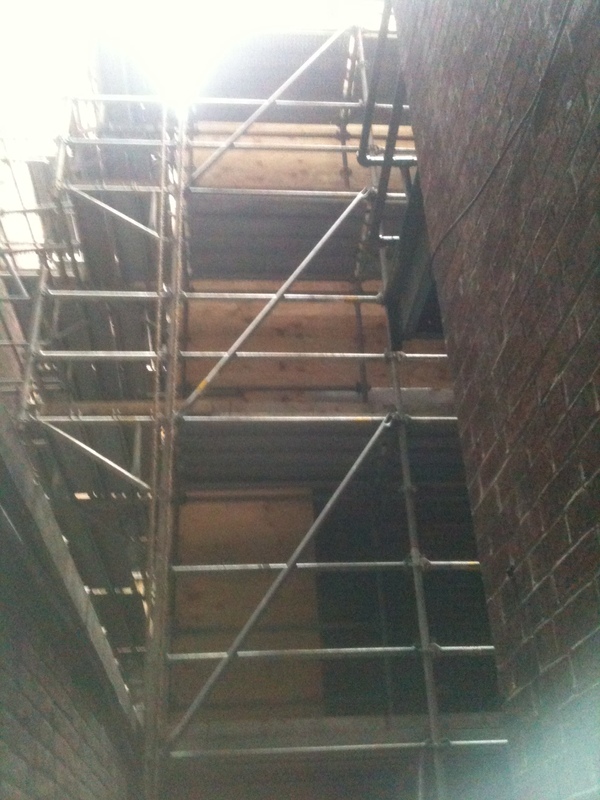 To do this they needed some expert help – so they called Superior Scaffold. What it looked like before phase 2 went up. Obstacles on the neighbor’s back wall. The entryway off of the street. Look at the photos. 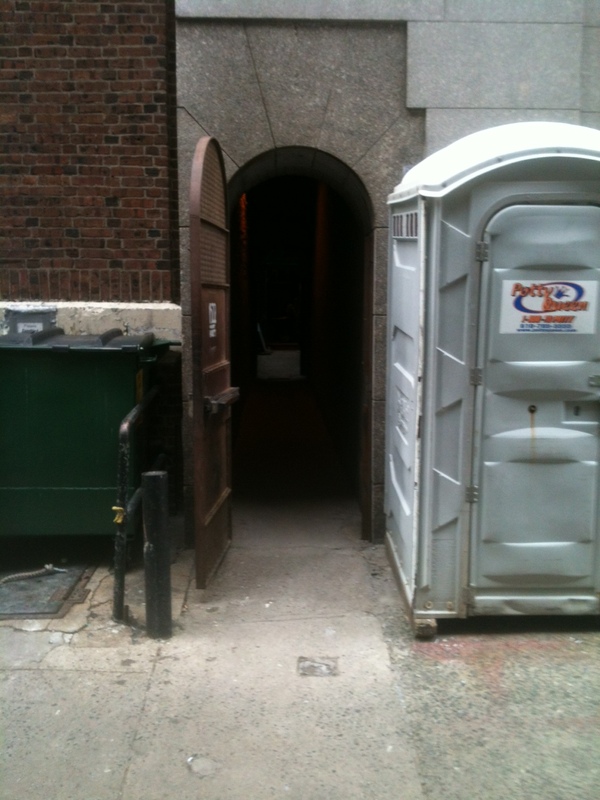 There is very little room to work with in that tiny little alley. Access was a huge challenge. As was the two sections that had to be built and then connected to make the finished product. 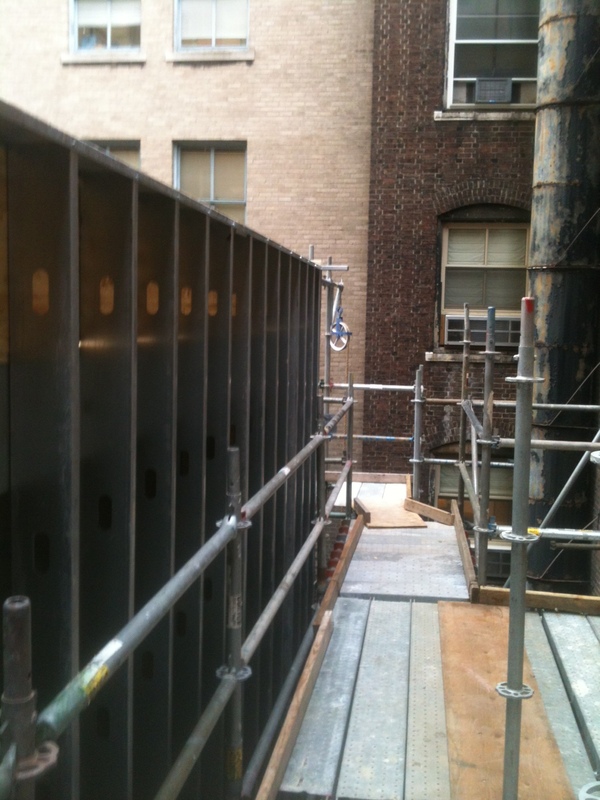 And on top of that – Superior had to go to the business directly behind Holt’s to see if they would let them erect scaffolding so crews could get to and finish the exterior of the new edition on the back of Holts. 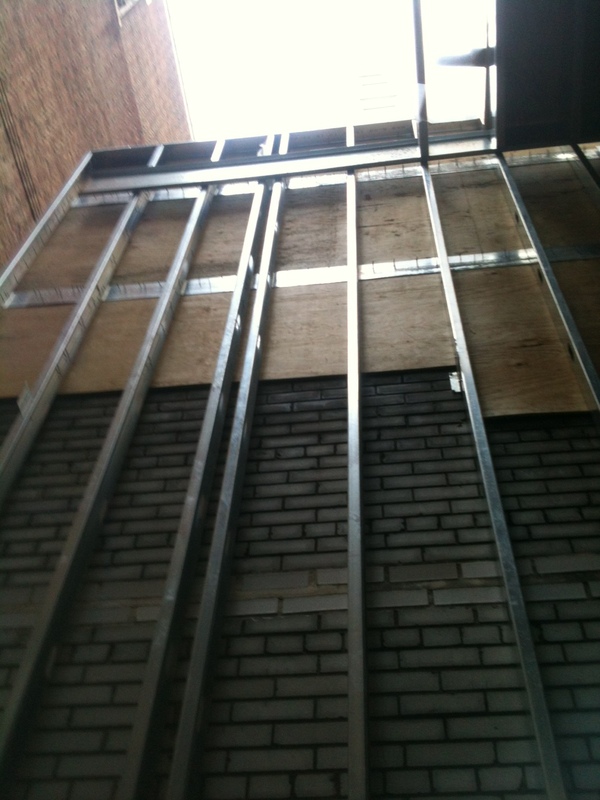 I know it’s hard to see but just imagine, if you will, Holts blowing out the back of their warehouse and butting up right against the opposing neighbor’s back wall – Neighbor working with neighbor to get this done. 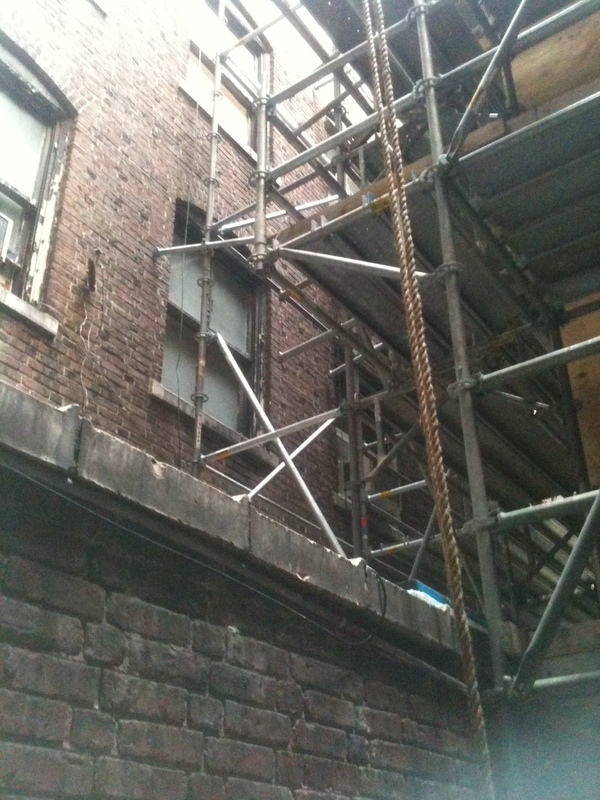 Back of Holt’s where the expansion is – see the L shape to the right. 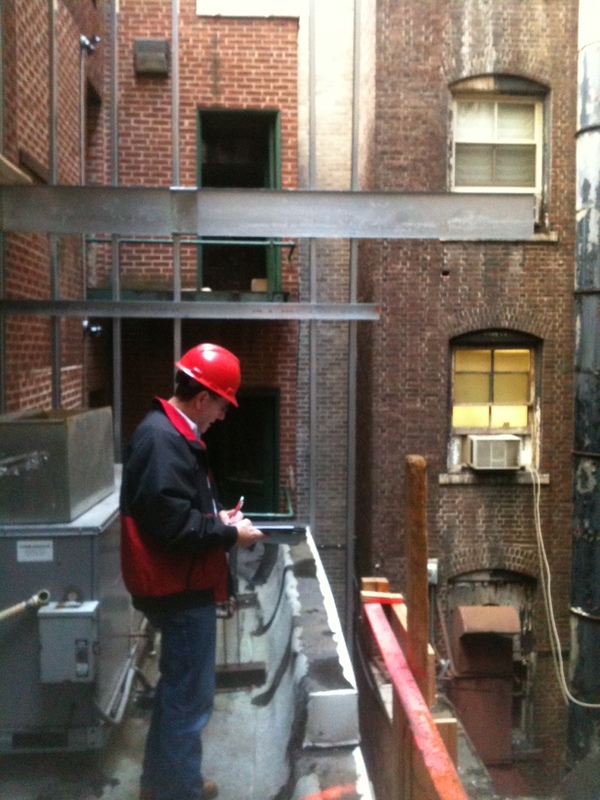 Superior Scaffold’s engineer, Bob Robinson. Superior engineer, Bob Robinson, and estimator Pat McAndrew, had to devise a way to get the support needed in around this existing roof without actually placing scaffolding on top of it. 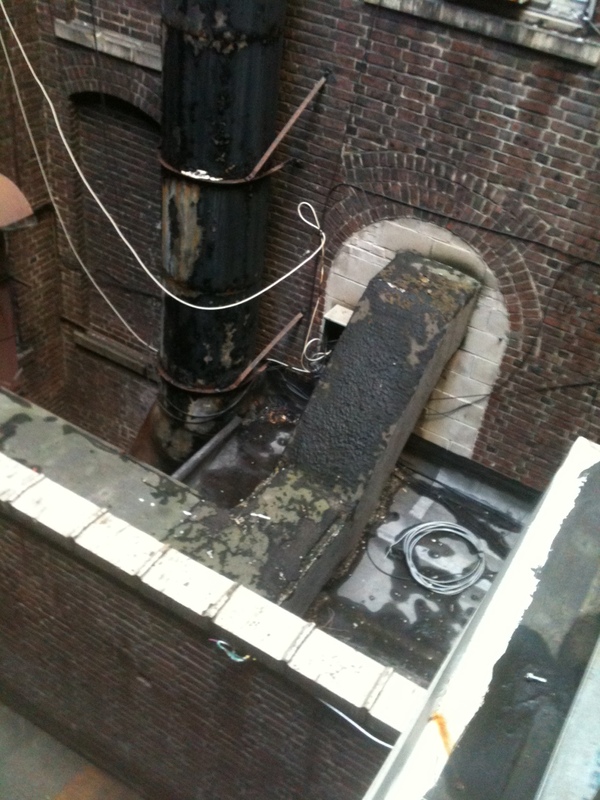 Robinson devised a plan to rest the entire scaffolding on the existing capstone and actually bolt channels into the old brick of the neighbor’s wall. 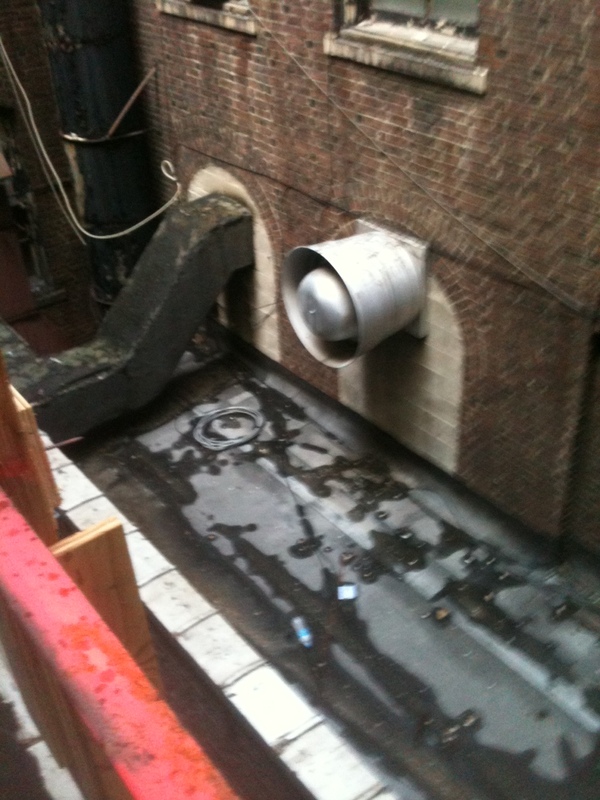 This would give necessary support and enough room for everyone to work comfortably in the confines of the alley. They decided to erect it in two phases. Looking at phase 2 resting on capstones. Protecting the capstone sitting on the cement. 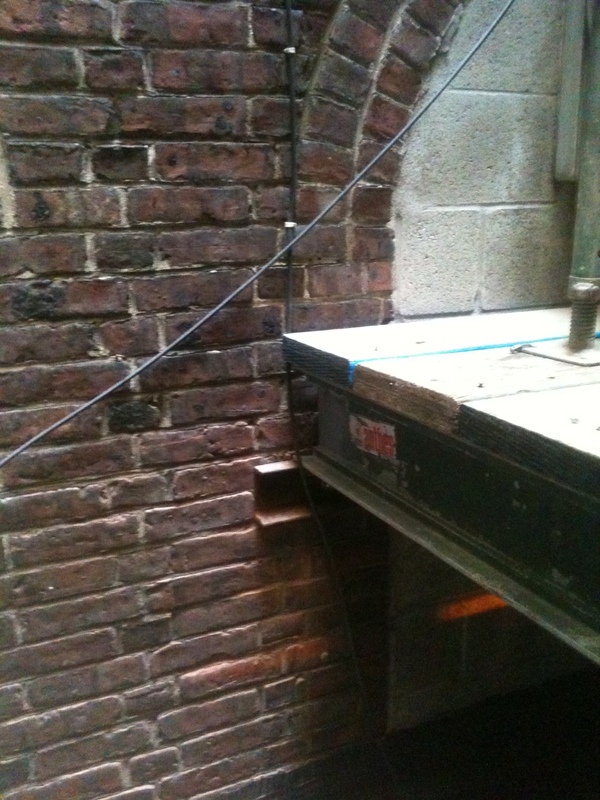 Attaching channels to 100 year old wall – support rails in brick. 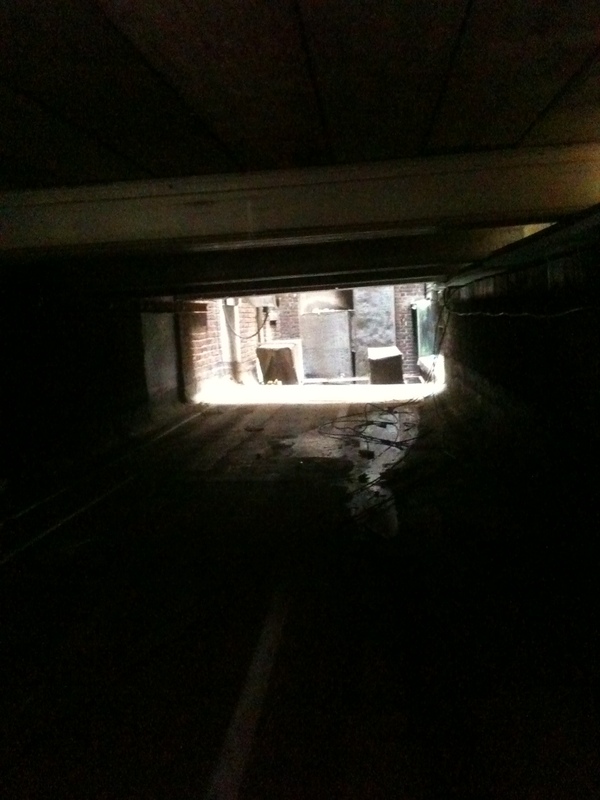 A view below the stringers and deck – looking underground. Phase one is the side where these photos were taken. It’s looking out from Holt’s new addition. This section was 4’ wide X 10’ long X 40’ high. It faced the studded wall of the new edition, pretty straight forward stuff. Phase 2 was the harder leg and would be connected by 3’ outriggers giving crews access to each section. New studs in place at the top level. At the top in between the two buildings. The new addition on the left. 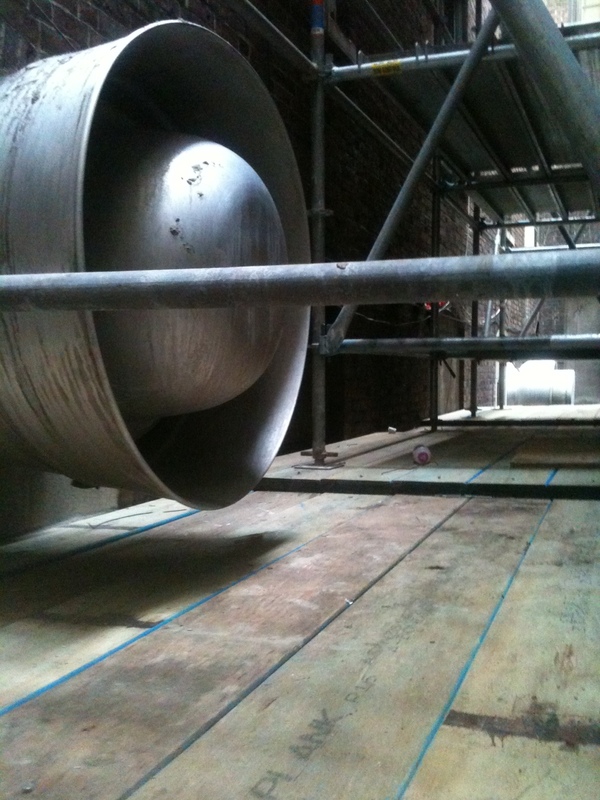 The second phase, the upper section, was 4’ wide X 23’ long and 30’ high and would be built over the existing roof. 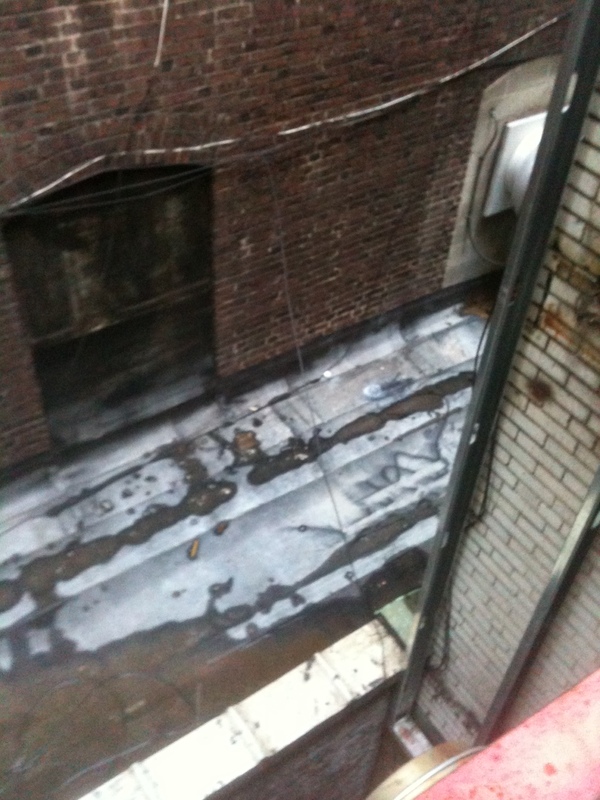 (or onto) pic 33 and would go all the way up the side of the neighbor’s structure – about another 30 feet. It would allow crews to do the exterior finish work on the opposite wall on Holt’s new addition. The second phase, the lower section, was 4’ wide X 10’ feet long X 40’ high. Looking down onto phase 2 building up from the roof below. 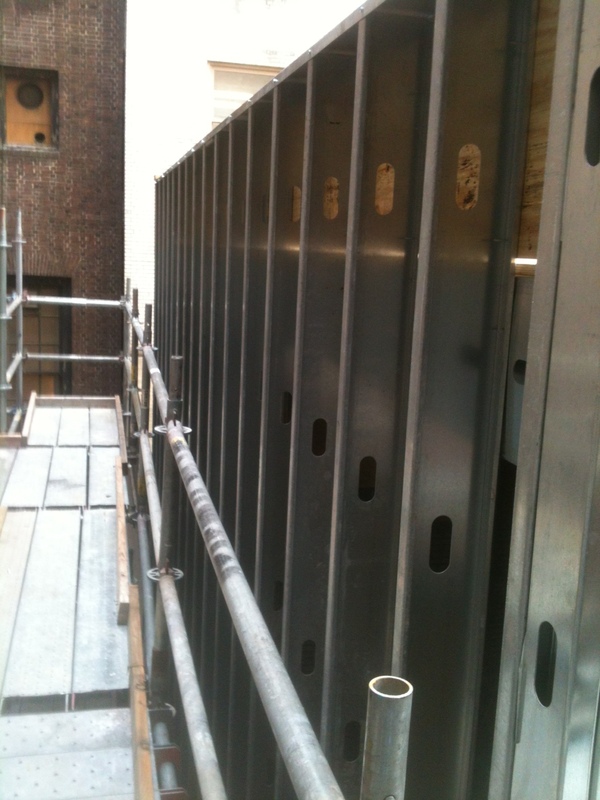 The top level of the expansion – 40′ high. The two sections were connected by 3’ outriggers giving crews access to each section. 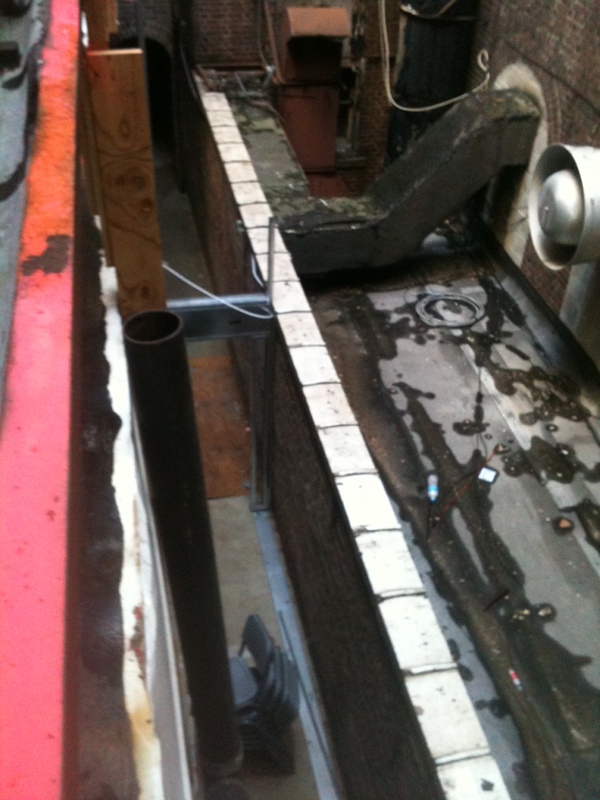 There were several obstructions that had to dealt with like the old exhaust unit. 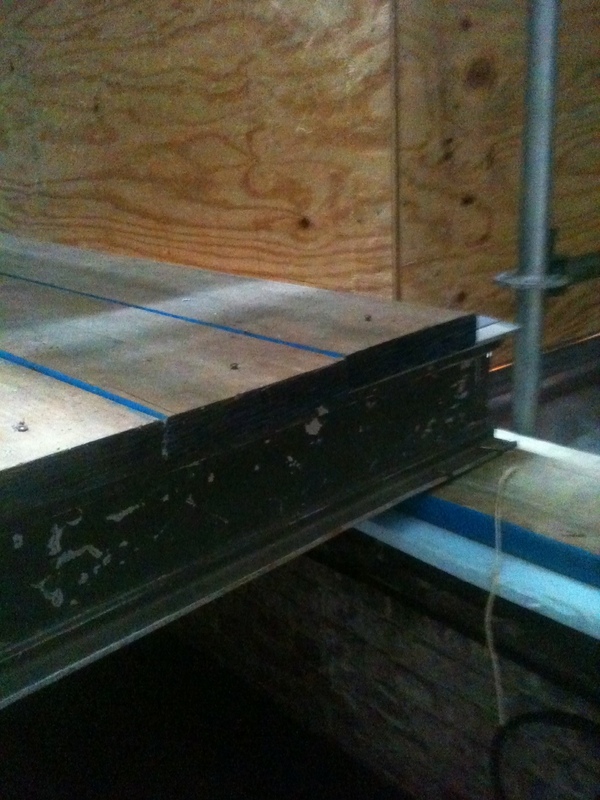 The new steel for the wall was bolted to the old brick wall for support. Crews will fill in the old brick wall when everything comes back down. 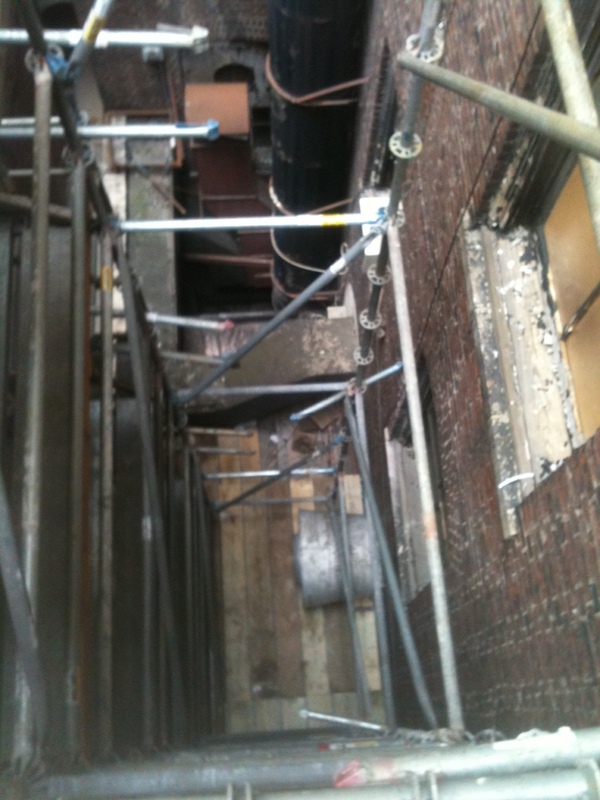 Every piece of gear, scaffolding, trusses, etc had to come through a tiny portal off of the side street and carried through a tiny access way into the back alley. There, it had to be assembled and erected with great care. Entryway to the back of the building. 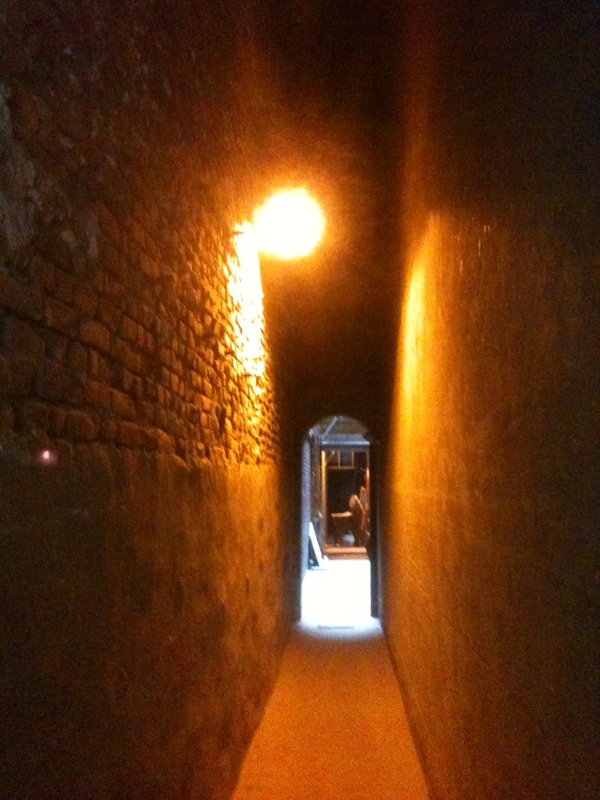 Very narrow. The dungeon where all things had to pass. Needless to say that both phases went up without a hitch. Another Superior solution. 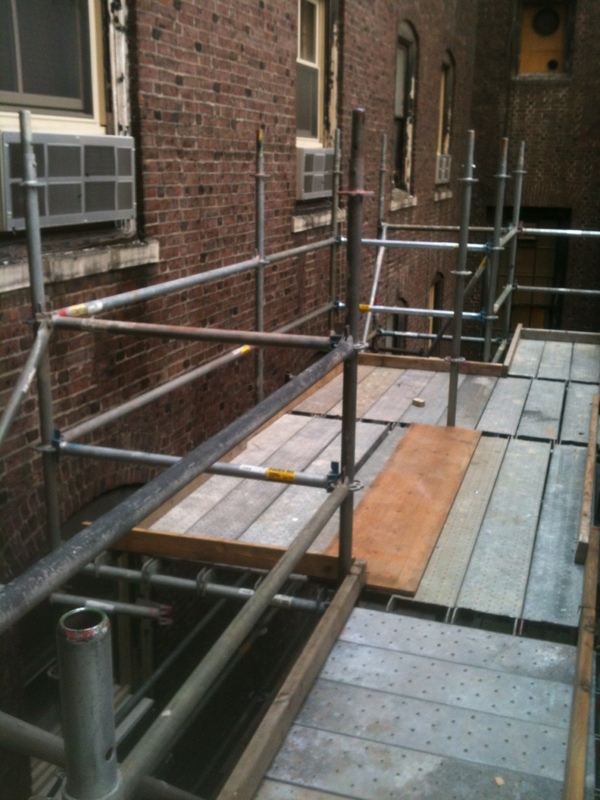 Posted on January 7, 2013, in News & Updates, System and tagged construction, DE, inspection, MD, NJ, PA, philadelphia, scaffold rental, scaffolding rental, shoring, superior scaffold. Bookmark the permalink. 1 Comment. Wow! Such a great write up. I have never even heard of these guys and I’m a HUGE nerd in the area. Sounds like an interesting job you got there. Good luck to you guys and your company! Also, keep up the great writing/stories.